Florida has a decorating style all its own. 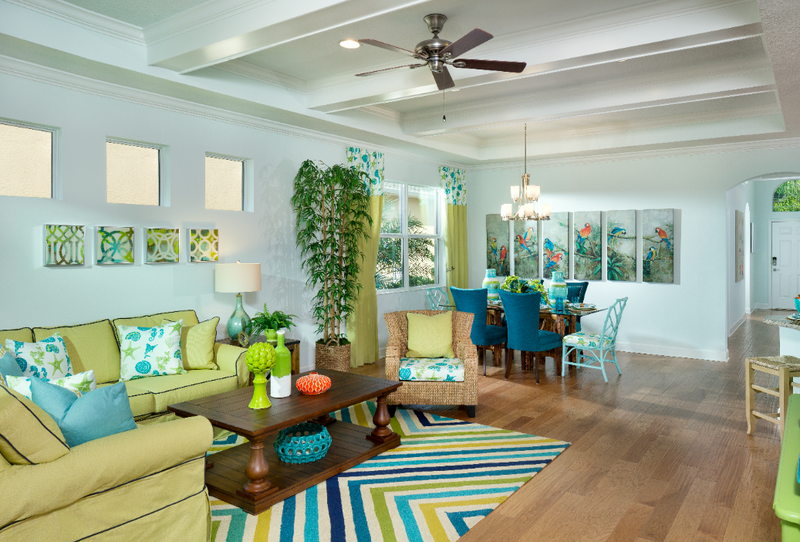 By adding your own touch and flair, you can decorate your new Minto FL home in a way that’s tropical with your own touch. Now that you have made Florida your home, you’ll see that certain décor that is common in Florida makes perfect sense. Keeping it light and bright will enhance the coastal feel whereas dark walls and heavy woods don’t feel right in the airy environment. Be bold and add a little color. Beach dwellers are never afraid of some color, so don’t be afraid to try some vibrant hues to achieve that coastal feel in your home. Floral prints are another great way to add a tropical feel to a room. A little bit goes a long way as too much can be overwhelming. Concentrate on using lighter fabrics and keep the base fabric a solid color while using the floral prints as accents. Using seashells as accents is the perfect way to transport you to the coast. Sand dollars, seashells, and starfish can be arranged in oversized glass vases or bowls and set upon a table for a coastal focal point in a room. Seashell-print pillows and coastal artwork are perfect for any room. Nautical accessories also add nice touches while giving a subtle nod toward the region. If color isn’t your thing, you can take your palette to the other extreme by keeping all of your surfaces a clean, refreshing white and adding details, such as painted wood floors to keep the casual beach house feel. Warm wood accents and stainless steel accents are the perfect way to add a simple layer of color and texture while giving your home a sophisticated look. How do you plan to decorate your new Florida home? Leave us some suggestions in our comments sections below!